There is so much information for us to process in our modern life. Email, tv, social media, advertising… it can create an environment that is quite overwhelming and overstimulating for our being. Have you heard of yoga nidra before? Yoga nidra is known as yogic sleep. You will be guided through a visualisation that takes you to a state of deep relaxation. A state somewhere between waking and sleeping whilst still being fully conscious. Bookings are essential for this Masterclass! 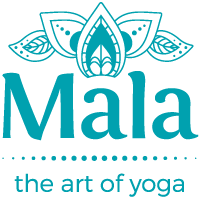 Class is open to yogis of all levels, including beginners. Investment is $35 and spaces are limited. Enrolment is included for our Mala Members (please email us to secure your place). Yes please - book me in!